President Rodrigo Duterte and Vice President Leni Robredo have had so many disagreements, it would have been awkward to have her at the New Year's vin d'honneur for foreign diplomats on Wednesday. 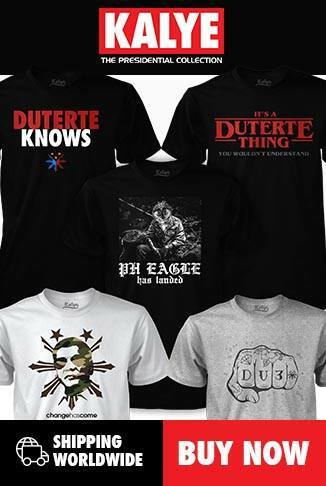 "Ang sa amin lang naman dito, prerogative ng Pangulo. It's his house. Homeowner. Kung hindi mo naman kasundo ang in-invite, why would you invite? Sabi ko nga sa interview, awkward. Awkward di ba?" Andanar told reporters in Malacañang. In a separate radio interview, Andanar revealed that Executive Secretary Salvador Medialdea joked that Robredo was not invited because she would host her own vin d'honneur next year. "Mayroon ngang biru-biruan, nag-usap kami ni Executive Secretary Medialdea, sabi ko, 'Hindi ba in-invite si Vice President?' Tapos sabi niya, sabi ni ES, 'Eh magkakaroon siya ng sarili niyang vin d’honneur next year,'" he said and then laughed. 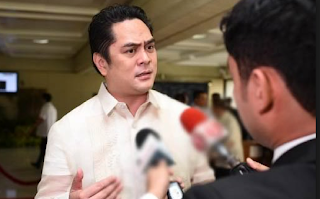 Nonetheless, Andanar said Malacañang is not snubbing Robredo and refused to speculate if she would no longer be welcome to attend presidential events.